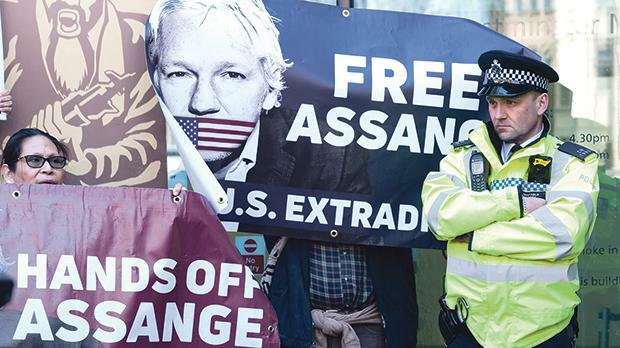 I read articles in the Times of Malta about Ecuador kicking Julian Assange out of its protective embassy shell, after which he was immediately arrested by the British police. I think this will be a turning point in the whole world eliciting vital news from the Wikileaks ringleader. Assange looked haggard and had a white shaggy beard. I have nothing against him personally, I just feel that if he has news or knowledge on significant world topics or people he should share that knowledge fully and openly as a (supposedly) reputable journalist and not resort to using juicy news (or rumours) as pawns to make people around the world even more jittery. If he really wants to make a positive difference, let him share his news and prove his claims are ‘valid’. Of course, I would not blame him if he protected his ‘sources’, as long as the information is credible. I realise he is walking a fine line but he should be willing to be mostly above board in his reporting and not resort to a ‘Wikileaks’ style or concept. There is absolute proof Assange was (and ‘is’) a computer programmer and a hacker. Some consider his Wikileaks to be a mix of journalism and an unseemly element of illicit spying. In his biography, he described Wikileaks as his “political party”. When a supposed journalist puts his enterprise on a slanted political bent, it ceases to be fair and balanced journalism; it could be partly legitimate and partly rogue. I hope Assange will cooperate with the authorities. His search for information may have some laudable moments but the trickling out of data on his whims almost smacks of espionage tinged with threats. Let the truth come out. In the meantime,I hope future similar enterprises will be more transparent.